EnerVista™ is an industry-leading suite of software tools designed to simplify every aspect of working with GE Multilin and other field devices. Our modular suite of software tools significantly reduces effort and streamlines operations such as creating and validating settings files; integrating GE Multilin devices with Automation systems; and monitoring and controlling devices to protect end assets. EnerVista Launchpad is a powerful, easy to use and free software tool used to setup and manage Multilin products. 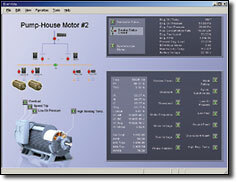 LaunchPad allows users to easily configure GE device settings files from a single application. Furthermore, it provides a centralized repository to access and download the latest support documents and software tools as well as automatic notifications to ensure users are kept updated. 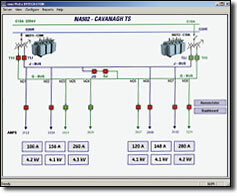 EnerVista Viewpoint Monitoring is an easy to setup and powerful data monitoring and recording software application that provides an overall, integrated view of an electrical system. With minimal device communication configuration, it collects critical real-time and historical disturbance data to assist with analyzing past or impending power system events. EnerVista™ Integrator enables seamless integration with GE Multilin devices for new or existing automation systems through tested, pre-configured memory maps. Integrator significantly reduces the time and effort required to obtain device, event and waveform data for integration with an HMI, SCADA or DCS system. Not finding the EnerVista software that you’re looking for? 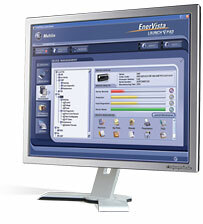 View Legacy EnerVista Software.